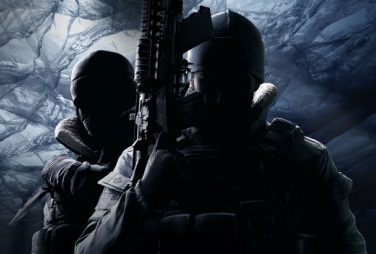 Fans of tactics and strategy shooters can look forward to Tom Clancy's Rainbow Six Siege, which is slated for release on PS4, Xbox One and PC on December 01. In the game you can choose between 20 operators, and all classes of anti-terror units always have the same goal: Overpower by terrorists. The operators here specialize in different playing styles and tactics. Select the correct operator that suits you, below you can find all available characters. Another British operator is mute his real name is Mark Chandar. Do you want to disrupt the enemy's communications and thus facilitate you the advance with a signal jammer, then Mute will be your class. Enemy drones and remote ignition in the range have no chance against this operator. But beware, if Thatcher throws his EMP grenades. This can destroy the signal disturbers of Mute. The last character of the British unit is Smoke. His real name is James Porter and his position in the battle is defensive. Do you have a preference for fearless operators that adrenaline love and therefore proposed the perfect defense? Then you befriend with Smoke. With his remotely- detonatable gas mines he will prevent the attackers from advancing. Thermite - Jordan Trace is his real name and he is a war veteran and an FBI agent. He attacks with explosive charge, which he himself has developed. He makes the other operators - the penetration easier. Give attention to the opposing jammer because the exothermic explosive charge will not fire in his proximity. There are Female operators, and one of them is Ash. The agent of the FBI SWAT team, Eliza Cohen has collected her career in the IDF. This class can blow surfaces from a distance and her distance charges can not be disturbed by enemy jammers. Both in theory and in practice, Castle is a perfect defense. This class is part of the FBI's SWAT unit and is one of the operators who have already employed in the study with the criminal law. His real name is Miles Campbell and reinforced barricades are his preference. He will prevent his enemies get in through doors and windows. Jack Estrada is one of the FBI SWAT team operators. This character has vast knowledge in the field of communication and chemistry. With his heartbeat sensor, he is able to locate any person in the vicinity. But be careful when shooting because the sensor of this class also displays the hostages. One of the operators of the French unit's Montagne, also known as Gilles Touré. This gentle giant is very concerned about the safety of the other characters. With his riot shield he protects every living nearby. Are you the protector of the weak, then Montagne is the right class for you. Emmanuelle Pichon is one of the operators of the French unit and is named Twitch. This class has developed a love for art and is an expert in this field. With his drone can disrupt enemy’s electronic traps and miss opponent’s surges. The next class of the French army's Doc Gustave Kateb. He is one of the operators responsible for the defense. In his case he is the medical care of his teammates. Do you want your team to revive if he is on the ground, then this operator is the right choice. A good supplement to Doc offers the class Rook. He is also a member of the French unit and dedicated to the defense of the team. With his multi-hit protection plate he helps his comrades to survive the shots fired at them. Monika Weiss belongs to the German unit and is one of the operators responsible for the attack. This class is very well versed in electrical engineering and the electronics of the enemy from a distance disturb. - Special Accessories: Electronics Detector MK III "Phantom"
Elias Kötz, also called flash, has his name earned on the use of flash charges. This character is equipped with a hot plate and attaches great importance to the use of stun grenades. Bandit is an operator of German unity and responsible for the defense. As undercover agent with the Hells Angels, Dominic Bruns Meier learned convert objects into weapons. His self-developed shock wire can put doors under power and miss penetrating opponent electrocuted. This operator will save your life, because he is equipped with a device that prevents from grenades can explode and neutralize bullets. Marius Strings has collected his experience in combating maritime piracy and is one of the operators that specialize in defense. can turn his gun on a sniper rifle. Not so good with humans but he may well tinker explosives. With his cluster bomb he rips holes in the wall and fills the rooms behind grenades. This class is a good attacker of the Russian unit. - Special accessories: scatter explosive APM-6 "matryoshka"
For those who prefer operators, who are familiar with the use of traps like Claymores, will go with the golden Kapkan lot. Namely belongs to the equipment of the Russian character, an access barrier that can be placed in front of windows and doors. An opponent try to get past him the access lock will explode. The latest in our series of operators is Tachanka. The Russian defender Alexsandr Senavien is equipped with a machine gun, which allows by a tripod firing from the state. To make this class is based on a strong defense.